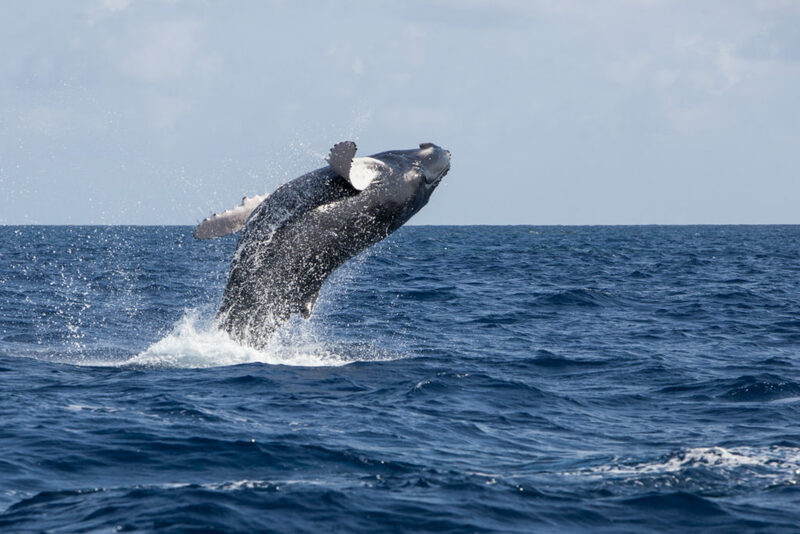 The Bermuda Zoological Society (or BZS for short) hosts whale watching tours from mid-March to late April when humpback whales migrate from the southern Caribbean sea north to New England and Nova Scotia. It can be a thrill to see these majestic creatures, which measure up to 52 feet in length. One of the best whale watching tours in Bermuda, it’s worth it to watch these mammals swimming in their natural habitat. Named after famed poet Tom Moore, who wrote many of his poems underneath a Calabash tree in this lush patch of forest, the Idwal Hughes Nature Reserve makes for a day well-spent in nature. If you’re up for a dip, head to the “Blue Hole,” a natural swimming pool where you can jump off a small cliff into the pristine pool below. If you’re not familiar with helmet diving, it’s a great way to explore the ocean without a Scuba license or if you don’t feel confident in your swimming skills. All walks take place in shallow waters filled with tropical fish and other reef-dwelling creatures. Dives typically last 40 minutes in length but expect the full trip to take three to four hours depending on the number of divers along with you for the ride. And you get photos to take home! Parasailing in Bermuda is a hugely popular activity. Soaring 800 feet above the Atlantic Ocean while kicking your legs in the air makes this activity one to remember. Get your adrenaline going with the opportunity to see Bermuda from up high. If you coast high enough, you might even be able to see the curvature of the Earth. 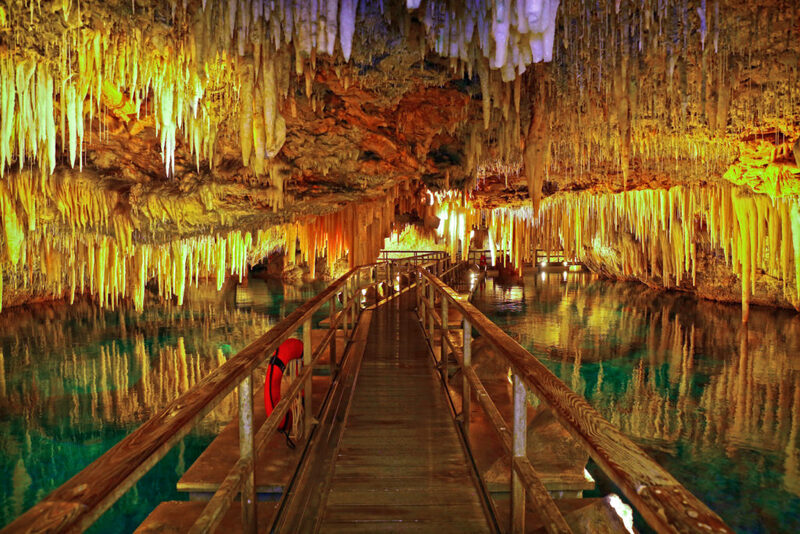 Mark Twain was the lucky first tourist to ever visit the Crystal Cave of Bermuda and wrote about the beauty of the stark white stalactites and the deep blue water. These days, you can visit the cave and see all of its natural beauty through raised boardwalks. The caves are well-maintained and very well lit, which makes them perfect for photographing. But if you want to kick up your experience a notch, get the special permit that allows for cave swimming. Deep in the heart of rural Bermuda, you can embark on an unforgettable guided kayak tour of the surrounding waters. If your goal is to see the wildlife, kayaks are a great option because of their ability to be quiet. This means the animals around you won’t get spooked! Luckily Fantasea offers a fantastic half-day kayaking tour hosted by an experienced guide that can tell you all about the wonderful creatures that call Aruba home. If you’ve heard the urban legends about the Bermuda Triangle, it should come as no surprise that the waters around the island are home to dozens of shipwrecks. This is good news if you want to book an adventurous snorkel excursion to see one or several of these wrecks. Choose Kirk’s Coral Reef Adventures to get an extra treat upon your return: a rum swizzle as soon as you hit land. This is flyboarding. Adrenaline junkies only. If you’re wondering what flyboarding is, the best thing you can do is watch this video. It’s a wild, water-driven way to soar high above the ocean. 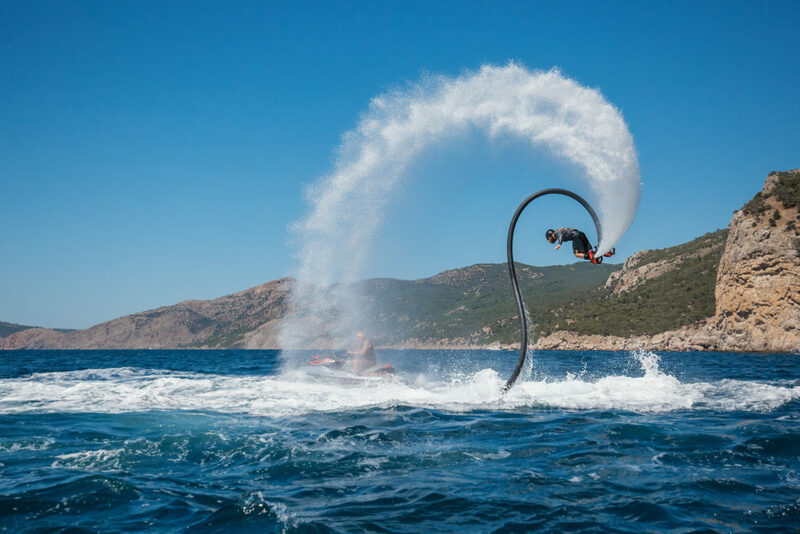 Flyboards work by exuding pressurized water from two nozzles underneath your feet. This gives the rider the ability to fly up to 15 meters in the air. You can even dive underwater! Experienced riders can perform acrobatic moves that take them from soaring in the air to underneath the water’s surface. 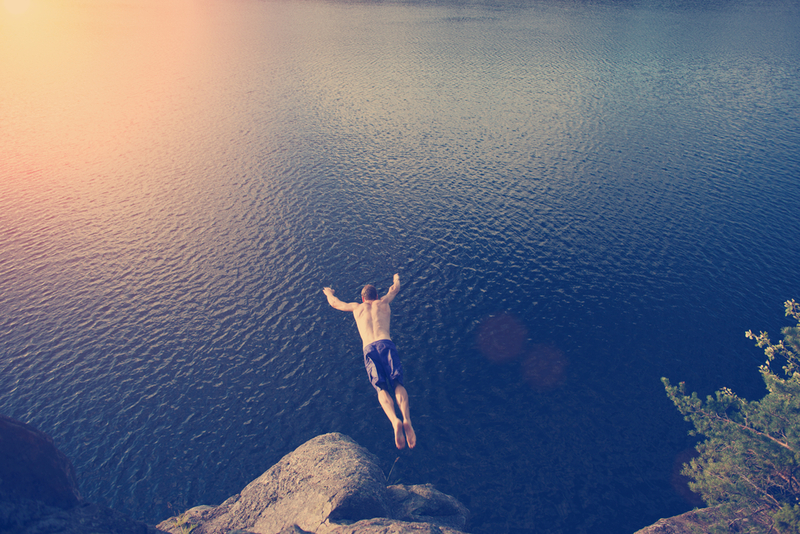 For no holds barred thrills, give cliff diving a try. Bermuda is home to excellent spots to dive off natural cliffs into the turquoise ocean. Several dive spots dot the island including at Horseshoe Bay Beach, at the Blue Hole inside the Idwal Hughes Nature Reserve and the Admiralty House Park. Remember, never dive in head first! Deep-water rock climbing, also called “deep water soloing” is climbing treacherous cliffs over water. The water is meant to protect climbers from injury if they fall on these high difficulty routes. Bermuda is prime territory for deep water soloing due to its collections of large cliffs over deep, crystal clear water. If you’re planning on heading out for a deep water soloing expedition, head to Great Head or Clarence Cove which both have multiple climbs. After a full day of Bermuda activities out in the sun or crystal clear oceans, you’ll want a comfortable place to unwind and relax. Adventure travel vacationers to Bermuda deserve the best accommodations. Vacation club resorts give guests plenty of space to stretch out in multiple bedroom villas, luxurious pools or top-rated spas. Keep reading if you’re wondering where to stay in Bermuda. Located atop Langton Hill, the Hamiltonian Hotel & Island Club is a prime location to stay in Bermuda. With a sweeping view of the entire chain of Bermuda islands, guests can lounge at the private pool and soak up some Vitamin D. Just a mile away from the resort is also the world-famous Front Street, the best shopping in all of Bermuda. A Gold Crown Resort, St Georges Club is a showcase of the British Isles. One and two-bedroom cottages give guests a cozier experience while still being supremely comfortable. Three pools to choose from, twelve acres of gardens and the perfect view of its historic harbor makes a stay here full of adventure. Rent a scoot from the onsite facility and head a short distance away to the nearby Margaret Rose Restaurant. Known as one of Bermuda’s finest places to eat, you’ll come back home to your cottage completely satisfied. Next time you head to Bermuda for adventure travel activities, make sure you cross these experiences off your list!